Plans for three new Birmingham rail stations have today been unveiled as the reopening of the Camp Hill Line to passenger services takes another step forward. Under the proposals the line, reopened to passenger services for the first time since the Second World War, would initially have three stations at Moseley, Kings Heath and Hazelwell. The Camp Hill Line will attract new passengers to rail by offering an alternative to commuting via bus and car on congested A435 Alcester Road. The initial service from these stations is expected to be two trains an hour into Central Birmingham, with journey times of around 15 minutes. With detailed planning to take place over the next 12 months on the three stations, it is hoped that construction work would start in 2020, with a view to getting the three stations open by the end of 2021. This would be in time for the 2022 Commonwealth Games. 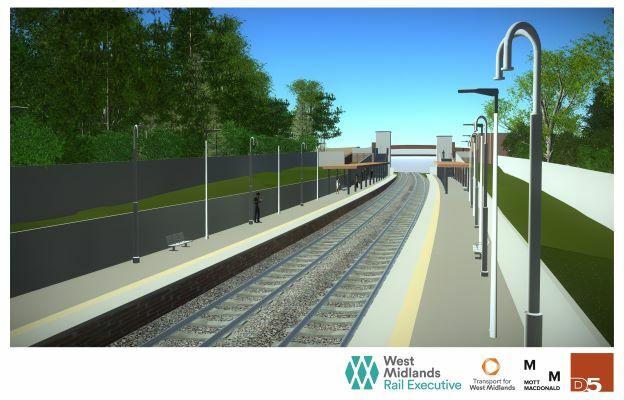 Plans are being jointly developed by the West Midlands Rail Executive, Transport for West Midlands (TfWM), West Midlands Railway and Network Rail. They are working together on the track, signalling and service changes required. In the longer term, more frequent services may be possible as part of the Midlands Rail Hub project which will build the Camp Hill Chords to link the line to Moor Street Station and allow more trains into Birmingham City Centre. Although there are no firm plans at this stage, a fourth station could also be opened at Balsall Heath in the future.